-- The International Congress of I.E.I. (International Enamel Institute) in Florence for enamel industrialists. 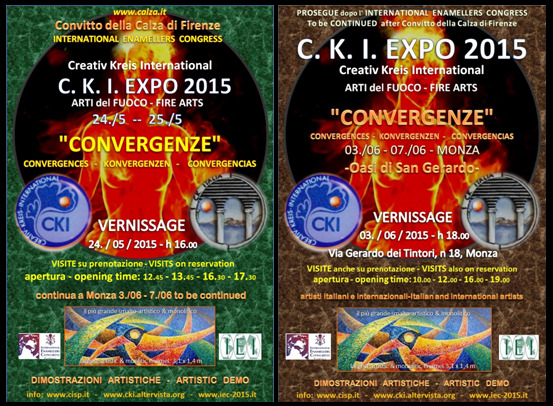 We received and accepted an invitation to expose some artistic works during the congress in Florence by the Convitto della Calza from 24th to 27th May. We later reprised the Expo in Monza by the Oasi di San Gerardo (3rd - 7th June 2015). The participation is open to all subscribed and honorary members of CKI or special guests from around the world.